Both times I’ve collaborated on books with other writers, I’ve reaped the rewards of not only a good experience, but I’ve developed nice friendships as well. 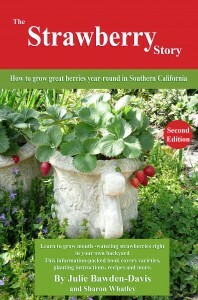 As a matter of fact, my friendship with my first co-author, Sharon Whatley of The Strawberry Story: How to Grow Great Berries in Southern Calfiornia, has blossomed over the years into a very close friendship. We’ve been through many of life’s ups and downs together, and I really think that part of the reason we became so close was due to the experience of “birthing” a book together. When you collaborate, pretenses soon fall by the wayside. You might be a little cautious at first with how you communicate, but before long you’re showing the real you. That’s due to the fact that writing is hard work. It takes diligence, patience and repitiion, as well as checking and rechecking. And just when you think you’ve got everything done and it’s all in order, it’s time to make another change. When the co-authorship is a good one, you grin and do what has to be done. Of course, one of the good points of having a co-author is splitting the work and you each being able to work to your strengths. 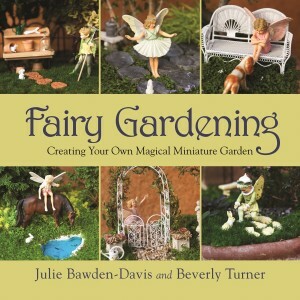 For my second collaboration, which lead to the bestseller Fairy Gardening, the design of the gardens falls to my co-author, Beverly Turner, who truly is the “Fairy Godmother of Fairy Gardening.” She created the first fairy gardens 13 years ago when she decided that she wanted a dollhouse as an adult. The gardens she made soon dwarfed the dollhouses, and she found herself making real-life miniature gardens that morphed into fairy gardens. Of course, I wouldn’t have found out about Beverly’s adult dollhouses or Sharon’s penchant for strawberry jam if we hadn’t created books together. While I’m glad to have written two fabulous books, I’m also glad to have gotten to know both of these talented women.